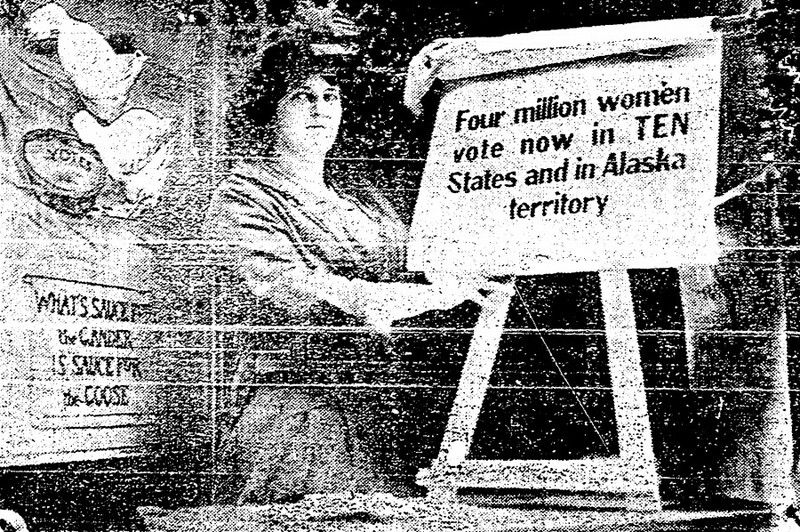 Marguerite Molliter spent weeks standing in the window of the Gayety Theater building on Vine Street rotating signs supporting the vote for women. Although she endured shifts as long as five hours, Ohio voted against woman suffrage in 1914. Cincinnati’s suffragettes never had the fire of their British counterparts, but they sure scared Cincinnati men. Many of Cincinnati’s suffragettes (or “suffragists;” the terms were interchangeable for awhile) would have proudly called themselves “Lucy Stoners.” Many of them may have actually met the famous feminist Lucy Stone, who organized one of the first National Women’s Rights conventions in Cincinnati in 1855. 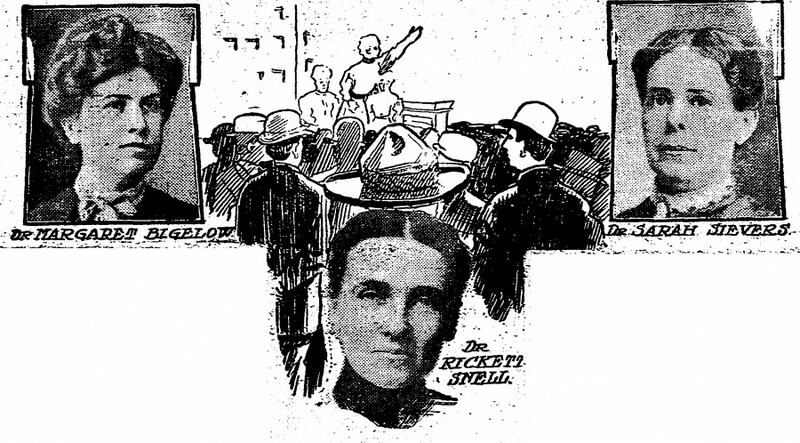 Ms. Stone was married to Henry Blackwell, a Cincinnati businessman who strongly supported her feminist activities, and was regularly in residence in Cincinnati when not traveling the lecture circuit. Cincinnati’s suffragettes never unified. There were at least three local organizations fighting for women’s suffrage. In addition to the Central Suffrage Committee, the Twentieth Century Club and the Susan B. Anthony Club were also very active in the movement. Some of Cincinnati’s very active suffragettes included Dora Easton, Helen Wise Mallony, Alma Kephart Wilson, Sarah Siewers, Margaret Bigelow, Marguerite Molliter, Nellie Robinson, Mary Yeager, Laura Procter, Mary Sherwood, Maude Gillespie, Ida Ricketts Snell, and Mary Douglas. Cincinnati suffragettes held public rallies near City Hall at which they spoke from horse-drawn carriages to mostly male crowds. The first major showdown on the issue came in 1912, when Ohio’s (male) voters were asked to decide a proposed amendment to the state’s constitution. Amendment 23 would have given women the right to vote. The initiative was defeated 58 percent to 42 percent. A similar issue went down to even bigger defeat in in 1914. It took a national Constitutional Amendment giving women the vote in national elections to convince Ohio voters to extend the vote to women for state and local contests.